Android GPS There is 1 product. The acronym GPS will correspond with the "Global Positioning System" which means Global Positioning System, the term GPS has become popular, and now designates a product in the commercial world. The GPS allows you to determine worldwide the position with an accuracy up to centimeters. The system was developed, installed, and used by priemera time in the system of Defense of the united States. The GPS system comprises 24 satellites and uses triangulation to determine throughout the globe the position. To secure a position, the GPS navigator needs to locate at least 4 satellites in the network, which receives a signal indicating the position and precise time of each satellite. The GPS navigator synchronizes its clock and calculates the delay of the signals (which is given by the distance of the satellite), calculating the position in which it is situated. GPS receivers with direct connection to the USB port are indicated to be used with a laptop computer or a tablet PC . Work With Windows, Android, Linux, or MAC. The power is through the USB connection and do not need additional cables. Are GPS antennas with a USB interface integrated. Fully compatible with Maps, Sygic, CompeGPS, Fugawi, Oziexplorer and other programs that support data and GPS data under the NMEA 0183 protocol. In the inner work the prestigious chipset SiRF III and SIRF IV that ensure an extraordinary sensitivity in difficult conditions, such as streets between the buildings, deep canyons or under trees dense. Terrestrial navigation (and pedestrian), sea and air, car. Construction (Leveling of land, cutting of slopes, laying of pipes, etc.). Location agricultural (precision farming), livestock, and wildlife. Salvage and rescue. Mountaineering, hiking, Sports, camping and leisure. For localization of sick, disabled and minors. Scientific applications. Archaeology. Geocaching. For tracking and recovery of vehicles. Systems of management and safety of fleets. GLOBALSAT GPS products. 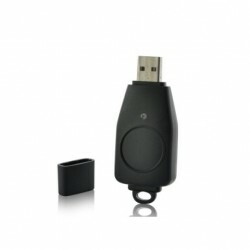 GPS antenna USB and micro-USB accessories for Android Tablet and Windows. GlobalSat WorldCom Corp. is the manufacturer of GPS receivers, USB most advanced of the moment. GlobalSat has refined its product lines basic GPS applications, which consist of GPS navigator for car, GPS of field and mountain GPS bike mountain Bike and dirt bike, Bluetooth, GPS, USB cable GPS, SDIO / Compact Flash GPS, GPS tracking system (communication / GPRS / SMS GSM with GPS / A-GPS ). Globalsat also designs bracelets of training with GPS devices, personal training, USB Modules, and integration of GPS systems. The advanced Chip SIRF Start III - IV, are tested as a positioning service high precision, energy-efficient and compact enough to be used in consumer applications. - Designed for use with a laptop computer, a tablet, smartphone, notebook, or PC. The feed is directly through the USB connection, has low consumption and do not need batteries or accessories. - USB Interface-integrated with software easy-to-use. - Fully compatible with google Maps, TomTom, Sygic Aura, Goggle Earth and other programs that support the data of GPS positioning under the NMEA 0183 protocol. - LED light to indicate the status of operation. LED light fixed: Indicates that it is searching for satellites. LED flashing: Indicates you are positioned. - Operation for the chip PL2303, which Emulates an RS-232 serial port, COM port. - Drivers available for WINDOWS: 98, 98SE, ME, 2000, XP, VISTA and 7 (x86 and x64), windows 8 and 8.1. Android and MAC. - All kinds of Geographical position: Record routes, routes and points relevant POI. - Localization of coordinates geográficass, distance measurement, measurement of surfaces, drawing lines and applications of telemetry. This application of GLOBALSAT USB GPS for Honeycomb alpha APH serves to trnasmitir the read data from the USB GPS to the Android system. It is compatible with all tablet and android phones. Its operation is simple, and it works similar to the APK, bluetooth GPS, and transmits the read data to NMEA in the system. It is based on the function Android mock Locations (Mock location) for which this utility system settings advanced should be enabled on the Tablet. Once you open the application eleige the UART port which transmits the GPS, it is usually USB0 / USB1 ... after the GPS is activated. The GPS application USB alpha Android APK must be open and running by the time the program of locating or navigation with maps. CANMORE GPS mountain and Field. Solutions USB GPS and distributor in Spain. CanMore Electronics CORP. (CMEC) Is a company dedicated to designing and improving solutions for GPS. His dedication to the design of Global Positioning System (GPS) and the development of products, allows you to provide customers with a good support service and reliable products. The increasing investment in R & D, to provide improvements and digital design, incorporated into the manufacture of devices of GPS receivers (Bluetooth GPS, G-mouse, GPS, field, portable GPS). CANMORE highlights the application of optional tools that complement the GPS (AVL, speed controller, calibration with compass, altimeter, barometer, climate, digital level etc). CANMORE has become one of the leading providers of GPS solutions in Taiwan. Their association with SILICEOUS Spain has allowed us to incorporate the Spanish language to their GPS devices portable. In the field of the products of Global Positioning System, Canmore is now Dsipositivos with a menu completely in Spanish translated and designed in a friendly manner by the equípo of SILICEO TIENDA ELECTRONICA ONLINE SPAIN. For your convenience, we have enclosed our latest catalog showing the products more versatile Canmore Electronics CORP. (CMEC). In our store is available to Europe and rest of the franchises products CANMORE. see the list of products, and use the shopping cart to process online every order. Express shipping 24h. For Spain, Portugal - Europe.